Here's to a prosperous 2019. Secretary Michael R. Pompeo met today with Iraqi President Barham Salih. The Secretary and President Salih discussed U.S. support in helping to address Iraq’s political, economic, and security challenges and commended President Salih’s recent diplomatic efforts. Secretary Pompeo also emphasized the U.S. commitment to Iraq’s sovereignty and independence, and the importance of Iraq as a strategic partner in the region. The Secretary highlighted the resumption of oil exports via the Kirkuk oil pipeline and the importance of continued steps towards Iraq’s energy independence. The two leaders also discussed the recent territorial defeat of ISIS and U.S. support for Iraqi Security Forces to ensure ISIS’ lasting defeat. Last edited by dollarsign; 01-22-2019 at 11:57 AM. Secretary Michael R. Pompeo met today with Iraq’s Council of Representatives Speaker Mohammed al-Halbusi and members of the Council of Representatives Foreign-Relations Committee. The Secretary emphasized U.S. support for the long-term bilateral partnership, anchored by the Strategic Framework Agreement, and the necessity of supporting Iraq’s democratic institutions, economic development, energy independence, and sovereignty. 4. Support Iraq's further integration into regional and international financial and economic communities and institutions, including membership in the WorldTrade Organization and through continued Normal Trade Relations with theUnited States. The adviser of the Security Council of the Kurdistan region pleased Barzani, on Wednesday, details of the meeting with US Secretary of State Mike Pompeo in the city of Arbil, capital of the Kurdistan region. "Barzani welcomed today US Secretary of State Mike Pompeo in Erbil, and the two sides discussed a range of issues of bilateral importance, including developments in Iraq, Syria and the region," said Barzani's statement. "They also discussed the next phase of the relationship between the Kurdistan region and the United States, Barzani proposed a new memorandum of understanding, focusing on economic and security reform and this is in line with the US-Iraqi Strategic Framework Agreement"
Last edited by dollarsign; 01-09-2019 at 04:26 PM. Some talk about "currency reforms" from this administration in the news lately. A meeting was held at the Central Bank of Iraq under the chairmanship of the Governor of the Central Bank of Iraq and attended by the President of the Financial Supervision Bureau, the Chairman of the Securities Commission, the President of the Iraqi Accountants and Auditors, and the Vice President of the Iraqi Society of Certified Accountants and KPMG. 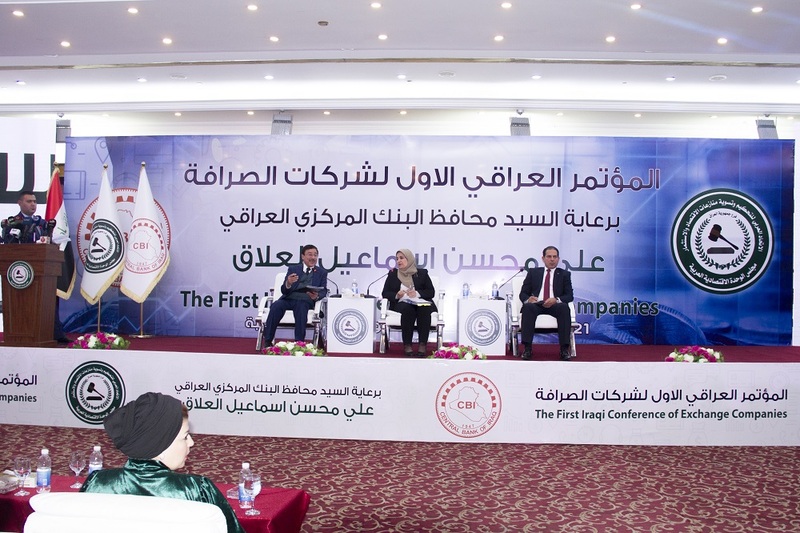 The meeting dealt with the prospects of professional work and the legal requirements regarding auditing and professional consultancy provided by these companies.As well as the emphasis on the role played by these companies in various aspects and the need to develop legal frameworks for the practice of audit functions and advisory functions, and it was decided to hold a subsequent meeting at the headquarters of the Association of Accountants and Auditors to adapt things that were traded between different parties. Last edited by dollarsign; 01-21-2019 at 10:49 AM. 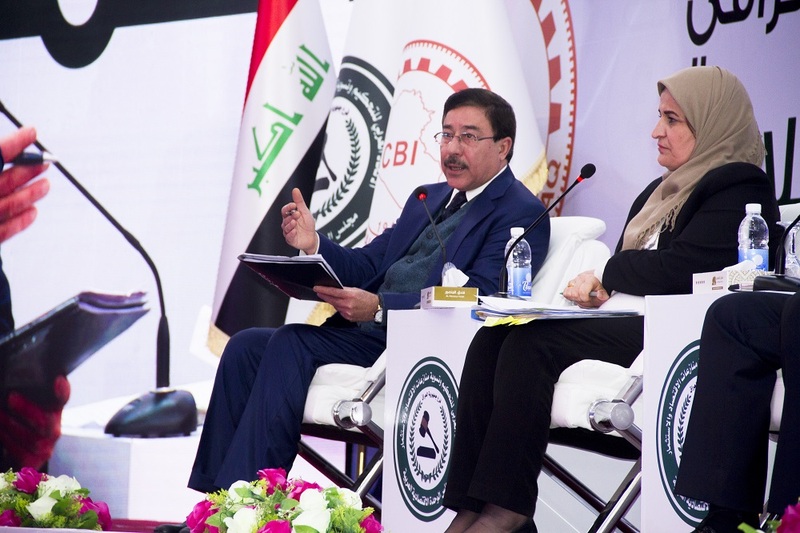 The Hoarding Phenomenon in IraqHoarding has always been a problem and a concern for many countries, especially after the latest technological developments and the subsequent achievements and huge savings in the incomes of the elements of production.The Central Bank of Iraq held Sunday 10/9/2017 a specialized seminar to analyze the hoarding phenomenon in Iraq. The seminar discussed the study prepared in this regard by the Department of Statistics and Research on this phenomenon and several topics were included, the most prominent topic was the statistical side and analysis (prediction).During the seminar, the Governor of the Central Bank, Dr. Ali Mohsen Ismail, pointed out that the Central Bank observes this phenomenon directly and that the available cash is not available as planned, and also that the Central Bank has a plan to solve this issue by drawing up plans and studies to attract money and profits within the banking system.The term "hoarding" is used as a translation of the economic term in the English language (Hoarding) and definition of hoarding in its economic sense that it is holding money and imprisoning it from circulation or keeping them in the boxes inside the house and not taking them out to trade in the markets. I know how to attract both pretty quickly, and since you seem to have accountancy people set up, just let it rip. 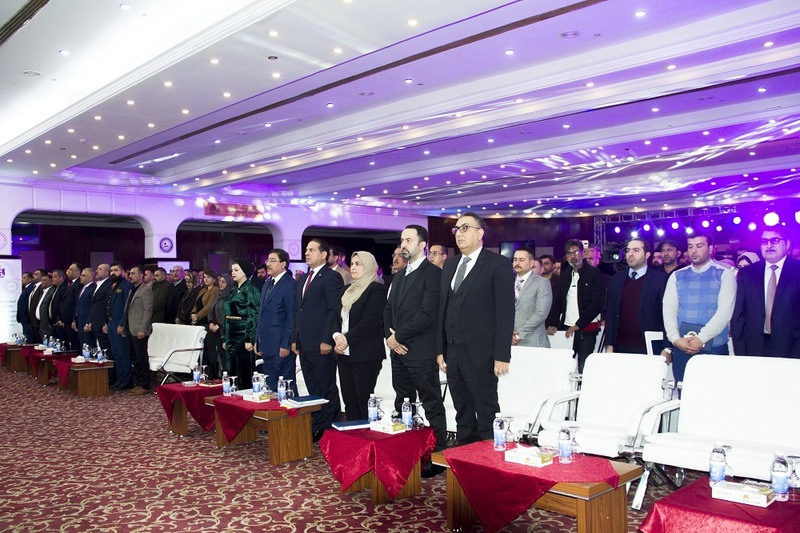 Under the patronage of His Excellency the Governor of the Central Bank of Iraq, Mr. Ali Mohsen Ismail, the first Iraqi conference was held for companies that mediate the sale and purchase of foreign currencies, which was attended by the Director General of the Department of Banking and Credit Control in this bank, in addition to the participation of a large number of brokerage departments, the sale and purchase of foreign currencies and their owners A number of members of the House of Representatives and figures of financial and economic.He stressed the sovereignty of the Central Bank Governor during a speech at the opening of the conference to the need to promote the reality of the work of companies mediating the sale and purchase of foreign currency to serve the Iraqi economy.He referred to the requests of companies to mediate the sale and purchase of foreign currencies and discussed some of them during the conference, confirming that all applications will be studied with the concerned authorities in the Central Bank and the possibility of solving them in record time. Last edited by dollarsign; 01-22-2019 at 11:11 AM. as rapidly as this conference has. and for those who've been in this for a while, the word "soon" is conspicuously absent. Last edited by dollarsign; 02-03-2019 at 04:32 PM. 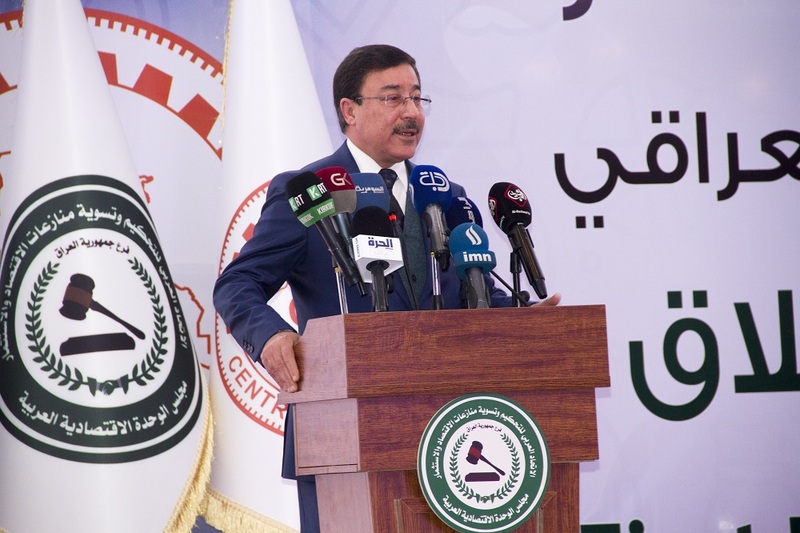 For his part, the Governor of the Central Bank, Ali Mohsen Ismail, said that the wide participation witnessed by this exhibition in the presence of six hundred and fifty publishing houses from 24 countries presented hundreds of intellectual and cultural titles in various fields. This underscores the importance of culture in Iraq and its return to its customary Arab and international status. hosted by the CBI pavillion, it would be hard to leave out the return of Iraq to it's customary international financial (exchange rate) status. may not be exactly the same, but the fundamentals certainly support a rate averaged from the basket of currencies the CBI stated to be applied just over a year ago. Last edited by dollarsign; 02-07-2019 at 03:55 PM.